Mary E. Taylor, 89, passed away on Saturday, February 16, 2019 at the Woodlands in Muncie. She was born on March 9, 1929 in Detroit, Michigan to Floyd and Lillian (Thrasher) Baker. She married Pat Taylor. 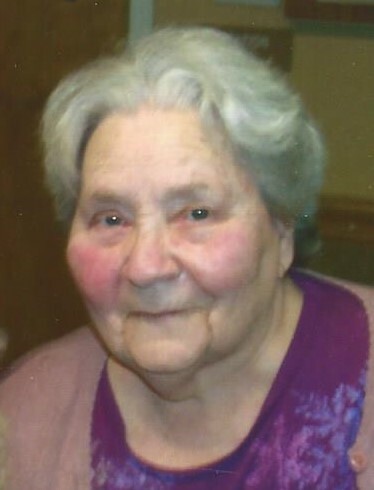 She is survived by three daughters: Judy Futrell, Cindy Futrell and Nancy Griffith; two sons, Robert Futrell (Rita) and William Futrell (Allicia); a sister: Frances Landis; 18 grandchildren, several great-grandchildren and several great-great-grandchildren as well as several nieces and nephews. In addition to her parents and husband Pat, Mary was preceded in death by a daughter, Janet Charnley; three brothers: Robert Baker, Byron Baker, and Leon Baker; and eight sisters: Margaret Blackburn, Delores Heston, Virginia Baker, Leota Baker, Norma Massey, Evangeline "Sue" Rodrick, Lesta Turner and Clesta Thomas. Visitation for family and friends will be held from 12:00 to 2:00 p.m. on Friday, February 22, 2019 at Waters Funeral Home 501 W. Washington St. Hartford City. Burial will be made at Hartford City Cemetery.